Curious About Nose Work? Here Are Some Tips To Get Started! It’s tons of fun, will keep your dog active, and takes only a second to learn! 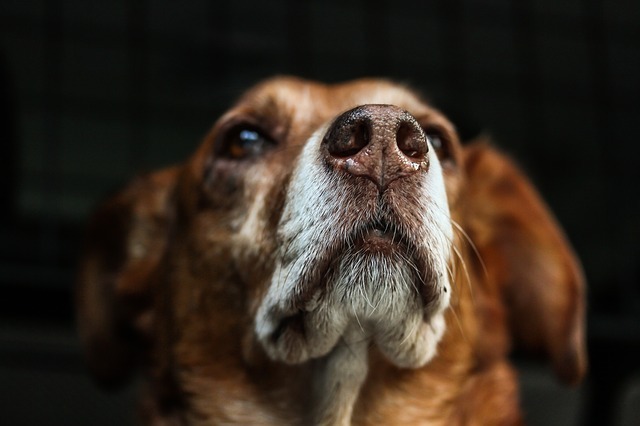 One of the best things about nose work is, unlike other dog sports, it requires little obedience training and relies on your dog’s naturally strong sense of smell. Any dog can participate, and once your dog knows there’s treats to be had, he’s likely to jump in nose-first! Nose work is a great way to keep your dog entertained indoors or outdoors. It’ll stimulate his mind and help him work on his problem-solving skills as well as exercising his nose. It’s a great way to burn up your busy pup’s extra energy because it engages his body too. Nose work can also help your pet build confidence as he plays! Owners of apartment dogs will be happy to hear it’s quieter and requires less space than other games. What we really love about nose work is that it will make the bond between you and your dog stronger. The good news is that your dog is already a natural. He has a powerful nose, a love of treats, and a desire to make you happy! For those excited about nose work – you can get started today with just a few treats and a curious dog! Place a treat in one hand and hold out both hands closed to him, about body-width apart. He should be able to smell the hidden treat, and when he paws or nudges, or otherwise indicates that he wants you to open the right hand, reward him with his treat! If he chooses the wrong hand, show him your empty palm and try again. Using these simple games, you can help your dog hone his treat-hunting skills. Place a few open boxes (at least two) in one area, a few inches apart. Place a treat inside a few boxes while leaving the others empty. Your dog should be able to smell the treat, but not see it immediately. While your dog is retrieving treats from other boxes, you can drop treats into the empty ones to keep the game going! Hide a particularly smelly treat somewhere in your home where your dog can get to it easily once he finds it – like a corner in a room. If he’s having some trouble, you can help him by guiding him to the room, but resist the urge to show him where the treat is. If he has trouble with this game, try putting a few treats out in a line, leading to his “big” treat. Make sure there’s enough distance between them that he’s relying on his nose – not his eyes – to follow. 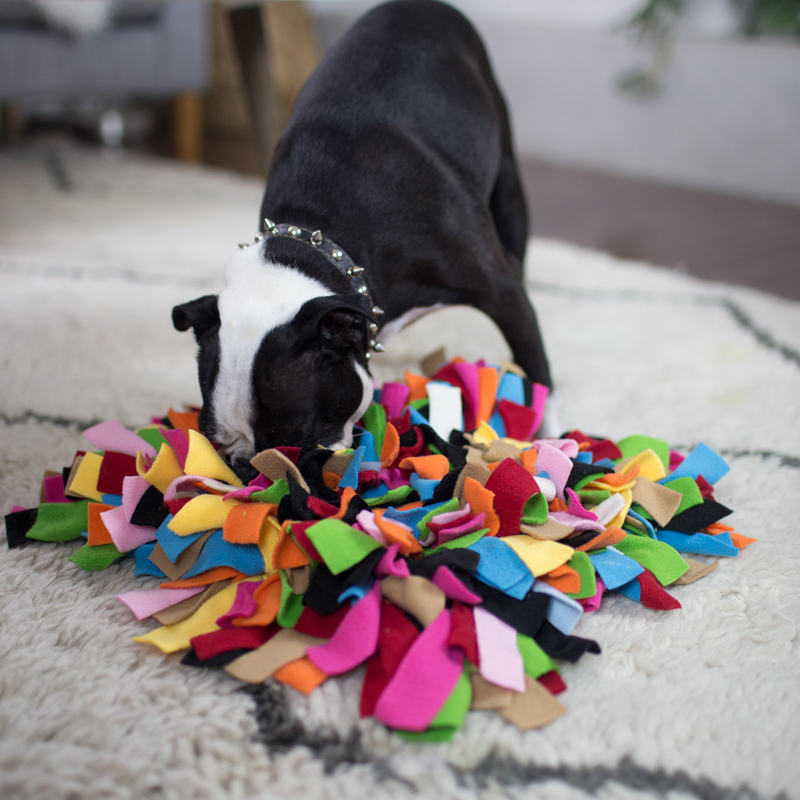 The snuffle mat gives your dog a chance to both dig and hunt! All you do is tuck treats into the strips of fabric and watch your dog go nuts trying to find them all! The Sniff Diggy™ Nose Work Mat from the iHeartDogs store is perfect for dogs just getting started, or who already know everything there is to know about nose work! With so many places to hide, the game is different every time and will keep your pup on his toes. It’s also great for those days when your dog has way more energy than you do – sit back and watch him wear himself out looking for food! 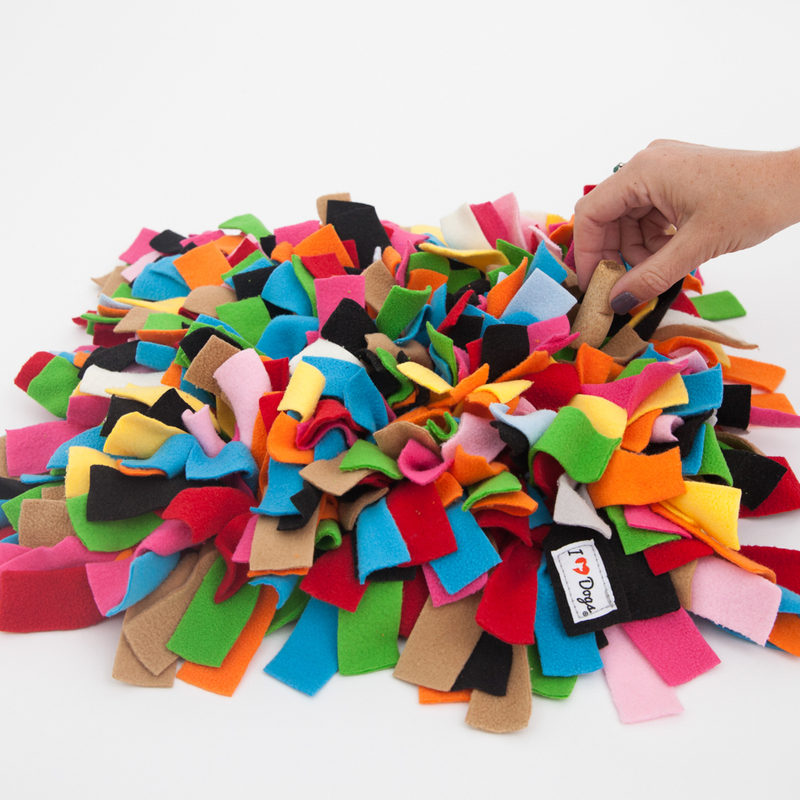 The Sniff Diggy™ Nose Work Mat is also machine washable and modular, so you can make a bigger play area by connecting more mats to each other. And like every other item in the iHeartDogs store, this toy gives to shelter dogs in need!